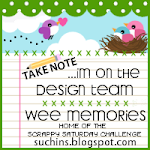 Crafty Girl Designs: Cards Designer of the Month November, a Card and More! Cards Designer of the Month November, a Card and More! Hello! Hope your having a great week! The end of October is here already! I've been kept busy with making wreaths for etsy sales and an upcoming artisan sale this Saturday! 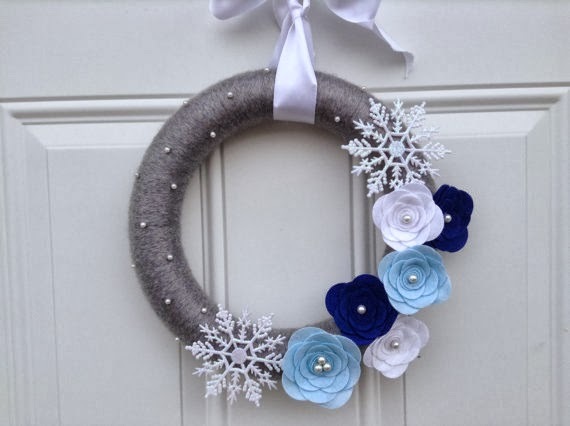 I am excited and also nervous since it will be my first sale with my wreaths! I am also bringing headbands and pacifier clips! So I am busy creating! I started off by stamping the Looped Flower Background by Hero Arts with wet cement by HA. Than I stamped the Mama Elephant Lovely Mum flowers in orange soda and bubble gum pink by HA. I heat embossed the sentiment from Mama Elephant's Smitten set onto grey cardstock and finished this card off with sequins by Avery Elle! In case you didn't see I wanted to share that I am collecting cards on behalf of Canadians for the Caring Hearts Card Drive, there are a lot of prizes! You can see more info here I would love it if you sent cards in! I also wanted to share some new wreaths in my shop! That's it for me! I hope to be back soon! 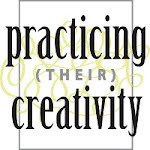 I apologize for the quietness on my blog. 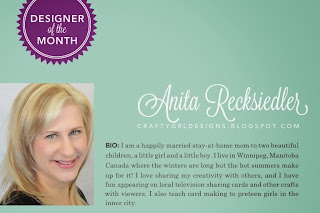 You can find me on instagram as AnitaReck and on facebook Anita Recksiedler I post there a lot! Until next time! 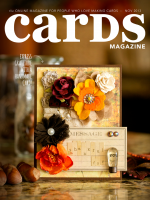 Congrats on your guest design and special feature over CARDS (AND successful sales over Etsy)! This is one beautiful card, Anita! 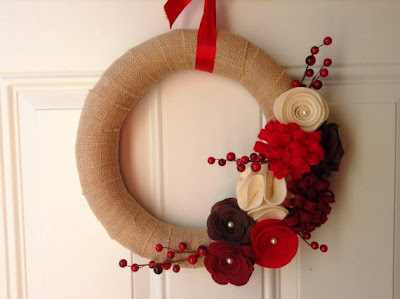 Your card is lovely and your wreaths are gorgeous, as always! It is getting difficult to keep up with all of your fame, my friend! Wow! So very proud of you - your work is so beautiful. I need to figure out getting that magazine on my iPad. The wreaths seriously rock! Congrats on being a featured designer! 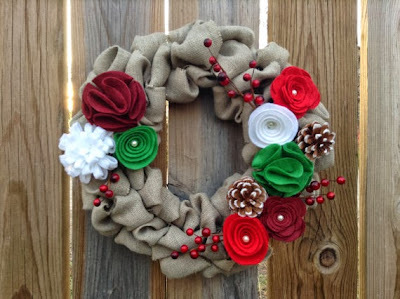 Your wreaths- as always - are stunning! 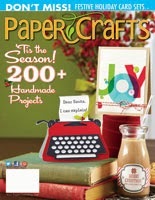 Best of luck on your craft sale!! wonderful post! congrats on your spotlight! and I do love this HAPPY card with FUN colors! and of course, your wreaths are gorgeous as usual!! 2013 Caring Hearts Card Drive!